Lucas Lechuga is the Top Producing Luxe Living Agent second to his Broker/Owner Dora Puig. He is also the Owner & Founder of the #1 Miami Condos Website - www.miamicondoinvestments.com. With over 10 years of real estate sales experience, Lucas is a well-seasoned agent with lots of knowledge and market insight. Lucas is also the leader of the 9 person MCI Team operating under the umbrella of Luxe Living Realty. 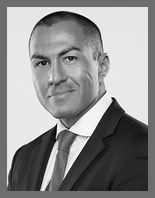 In 2000, Lucas graduated from the University of Illinois at Champaign-Urbana with a Bachelor of Science degree in Finance and a specialization in Investments.After college, Lucas worked at the Chicago Board of Options Exchange for four years as an on-floor equity options market maker. With this background, it was a logical choice to work with investors when Lucas entered the real estate industry in 2005 as a real estate sales associate. Since that time, Lucas has focused his efforts by specializing in luxury condo sales and rentals in Miami and Miami Beach. In his spare time, Lucas has a number of avid interests such as running, cycling, photography, and spending time with his Miniature Schnauzer, Lucky. Lucas is a 4x Ironman finisher and has an ultimate goal of one day qualifying for the Ironman World Championship.